We have in store for our clients an exclusive collection of Head scarves that are manufactured in bright and sophisticated colors in Amritsar, Punjab, India. English Creations Craze is one of the big names in India in exporting Head scarves at most competitive prices.Buy Wholesale scarves in bulk quantity at discounted prices as ENGLISH CREATIONS CRAZE is a wholesaler From India, manufacturer, supplier, exporter of scarves, shawls, stoles, Pareos , Kaftans, Sarongs, bags, ponchos, Kimonos, jacquard scarves, printed scarves, fabrics. We manufacture, export and supply a Cotton head scarves in Amritsar, Punjab, India.Cotton head scarves have a soft sheen and come in a wonderful range of colors, patterns and styles to suit any outfit. Importers buy Wholesale scarves in bulk quantity at Competitive prices as ENGLISH CREATIONS CRAZE is an exporter From India, wholesaler, manufacturer, supplier of scarves , shawls , stoles , bags , ponchos , jacquard scarves , printed scarves, Pareos, Kaftans, Sarongs, Kimono , in all kind of fabrics From India. These beautifully Printed Head scarves are featured in our popular oversized square size and available in a wide variety of vibrant prints.Printed Head scarves are very soft to wear.Clothing stores can buy Wholesale scarves in bulk quantity at discounted prices as ENGLISH CREATIONS CRAZE is a supplier, wholesaler, manufacturer , exporter of scarves, shawls, stoles, bags, ponchos, Pareos, Kimonos, jacquard scarves, printed scarves, Kaftans, Sarongs, and Fabrics From India. Headscarves have become a fashion statement today. There was a time when women used headscarves to protect their hair from the elements of nature. Today, it is an irreplaceable part of a woman’s wardrobe. 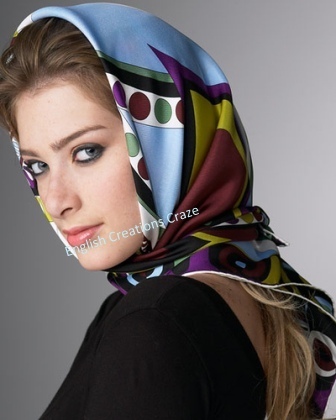 English Creations Craze is a top manufacturer and exporter of women headscarves from India. In this age of pollution, hair damage is natural. People living near the coastline experience it more because of the increase in the salinity in the air. Hence, it is advisable to wear a headscarf whenever you expose your hair to the wind and the sun. It helps in enhancing the life of your hair and prevents greying and premature fall. Today, it has also become a fashionable garment. Headscarves marching with your outfits have become a common occurrence all over the world. Secondly, wearing a colourful and attractive headscarf does separate you from the crowd. 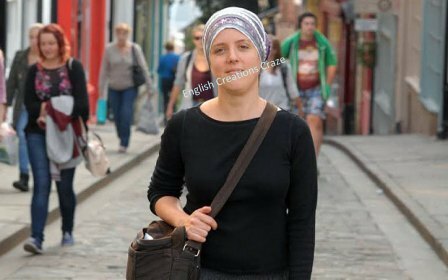 English Creations Craze manufactures different types of headscarves in bright and sophisticated colours that go a long way in enhancing your appearance and defining your personality. Women of all ages use headscarves to make a powerful fashion statement. Nowadays you even see young men wearing these scarves, especially when riding motorcycles. We use high-quality raw material to make our headscarves. These headscarves can absorb the sweat from the head and prevent hair damage. The different patterns and colours can suit any outfit. Competitive pricing is the USP of all our garments. We undertake to provide the best quality of merchandise at the most reasonable prices. Our headscarves are available at wholesale rates, especially to the retailers who wish to order them in large quantities. Individuals ordering online can also get these headscarves at the factory rates that are way less than the retail prices available on the market. Ordering online has its advantages. One such benefit is that you can customise your product according to your preferences. We ensure that you get these headscarves made as per your specifications. Visit our online web store to look at the tremendous range of headscarves and other women garments on display. Order online and get attractive discounts on these products.